Melania Trump speaking from the White House. Melania Trump on Monday gave her multipronged effort to promote the well-being of children a minimalist new motto: "BE BEST." 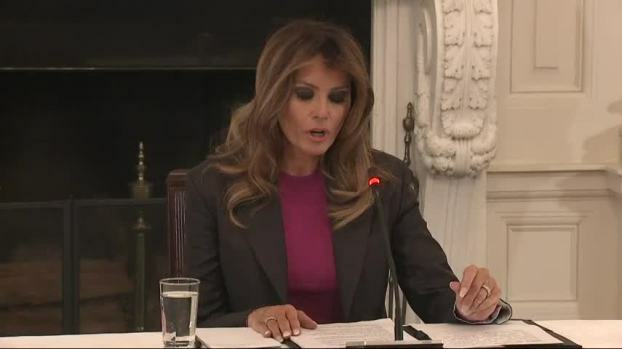 "If we truly listen to what our kids have to say, whether it be their concerns or ideas, adults can provide them the support and tools they need to grow up to be happy and productive adults who contribute positively to society and their global communities," said Mrs. Trump, who made the announcement in the White House Rose Garden as President Donald Trump looked on from the audience. In thanking her husband on stage, Mrs. Trump referred to him as "the president." Trump then took the stage and kissed her on both cheeks. He called his wife's comments "truly a beautiful and heartfelt speech" and went on to sign a proclamation for "Be Best Day." 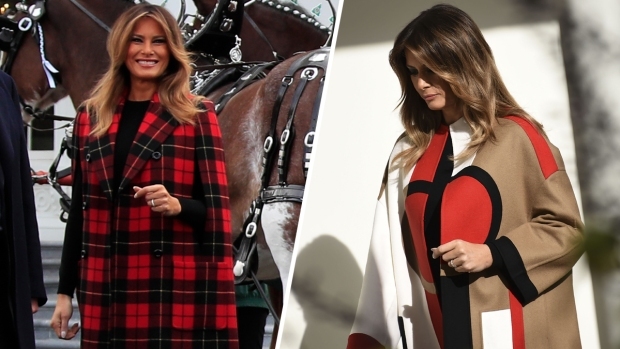 In March, the first lady hosted representatives of the major online and social media companies at the White House to discuss cyberbullying and internet safety. That meeting came more than a year after she promised to use her White House platform to discourage cyberbullying. Her choice was ridiculed almost immediately, given her husband's longtime habit of calling people names on Twitter, but Mrs. Trump said the criticism wouldn't discourage her from doing what she thinks is right. "I do believe that children should be both seen and heard, and it is our responsibility as adults to educate and remind them that when they are using their voices — whether verbally or online — they must choose their words wisely and speak with respect and compassion," the first lady said.